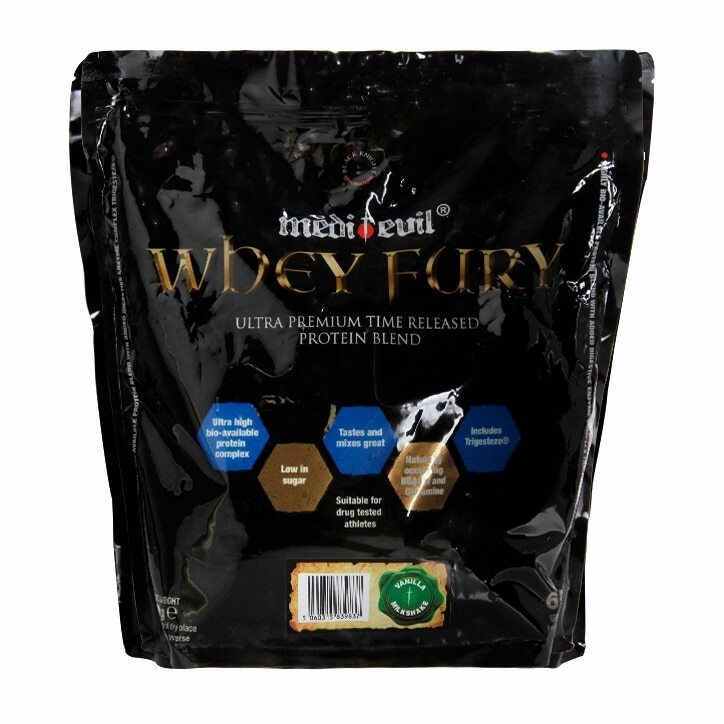 Medi-Evil Whey Fury Vanilla Milkshake is rated 4.8 out of 5 by 4. Rated 5 out of 5 by FrancescaChelsey from Favourite Milkshake I love all the Medi-Evil range, I find the whey top quality and wouldn't buy cheaper alternatives. Recommend to everyone to try.